If you’d like to contribute yourself but don’t want to out yourself, an anonymous service @TransDocFailAno, is available via Tumblr. The NHS doesn’t do that! The excuse for this is often because doctors have watched too many TV programmes about Trans regret, and think everyone is like that. Sometimes, the NHS really doesn’t “do that”. Or at least, bits of it. @quarridors: Lots of impressively depressing stuff on the #TransDocFail hashtag. I eventually got good treatment but my PCT refused to fund meds in 2002. So you’ve convinced your GP that in fact the NHS does do this sort of thing. And they’ve written a referral for you… or have they? Strangely, referrals for Trans issues often seem to end up lost at the bottom of the pile. @kara_louise18: #transdocfail having my GIC referral sitting on my GP’s desk and him not doing owt about it for ages, until I went and reminded him. @lilylayer4: #transdocfail I learned my request for treatment was denied in a copy of a letter sent to my GP, without explanation or after support. 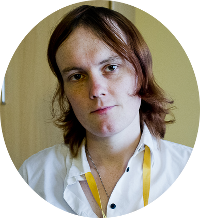 @lolvixen: #TransDocFail I first saw my GP for help 13 years ago. He refused and humiliated me, and suicide was preferable to risking a different GP. So you have treatment! Now every medical issue you have will be related. Broken your arm? It’s probably because you’re Trans. This problem, I have to point out, isn’t confined to the Trans community. When meeting with the General Medical Council last year, they report that people with disabilities or mental health problems get the same treatment. @scattermoon: @TheCraftyTracy #TransDocFail H was taken to hospital after losing 2 pints of blood post-op. They didn’t do anything. @scattermoon: @TheCraftyTracy #TransDocFail actually, they did. They brought in a team of nurses to gawk at her because they’d never seen one before. Sometimes, it goes beyond simple refusal to treat and turns into outright abuse, either deliberate or unthinking, and inappropriate treatment. @TheCraftyTracy: #TransDocFail put into trans treatment while there was no cure for cancer. Which is what I needed to hear when bleeding to death. @auntysarah: A historical #TransDocFail – in the 1990s, the UK’s largest gender clinic would insist you divorced prior to treatment. You’re really gay, or too young to transition, or it’s your mother. Or something. If an expert said otherwise, I’m still not sure. @KelestiMMO: #TransDocFail my first doc told me that my disconnect to my body, my reflection, my life, all needed to be medicated, not treated. @laurenisolde: #TransDocFail My first endo flat out refused to prescribe hormones because I wasn’t wearing women’s clothing. Apparently I wasn’t serious. Another common complaint is failure of the NHS to be able to update records to accommodate new names, titles and genders properly. That’s assuming it’s an administrative mistake of course, and not deliberate misgendering or “outing”. Can’t make an appointment? Dared go private? It’s back to square one. Even vague transgressions will be punished: I demand that you conform to my ideals about gender! Remember Vazquez from Aliens? Some doctors don’t apparently. (Really, this topic could do with a blog post on it’s own. I’m not one of the twitterati, but I’d really like to see a #TransDocWin tag going round as well, because people need encouragement, and there are some great GICs and GPs out there too. Here is an older example of #TransDocWin – although it’s sad this is rare enough it needs to be pointed out. Thanks – by the way, I’m in no way knocking the need for whistle-blowing on appalling behaviour from healthcare professionals (or even just ignorance). I recently wrote a letter to one of my local practice’s GPs to explain to her why misgendering me, and telling the pharmacist over the phone that “he’s still a man” (in front of me) was inappropriate. I sent her the relevant pages out of “Trans: A Practical Guide for the NHS” so she had some internal standards of care to refer to, as I assumed she was just uninformed. Never got a reply. Meanwhile, everyone else without exception down here in Devon has been amazing. And I’ve also had no problems with people in the system over being non-binary. But I hear some awful stories from other people. Yes, I have to say that most medical professionals I’ve dealt with have been positive. I’ve had some sort of issue with around a third, possibly less. Unfortunately, the repercussions when even minor issues do occur can be so serious that it does put one off seeking medical treatment at all. It’s true. I have a recurrence of an old urology issue, and because I’m mid-transition (but now as officially female as I can be at this point, including new NHS number and all) I find myself much more wary of the treatment I’m going to get in hospital – partly because in my experience, you’d be hard put to find a less empathic bunch than urology experts. And it’s very hard to be assertive with someone while they have a telescope… never mind. I guess my point is that the further up the expertise tree you go in the NHS, the less people skills they seem to have, in general. And we must not lose sight of what started all this off – Dr Curtis apparently being attacked in what seems like a re-run of the Russell Reid saga. Given that the funding for gender services is being capped and more core treatment will be available under NHS, I wonder if I am correct in suggesting that waiting times will increase. This may push more folk into the private sector where Dr C offers a non psychiatric treatment path. If Dr C was squeezed out then there is always the private route now offered, I understand, by gender practitioners also employed at a major GIC. We need choice as does any service user. Dr C being supported, during what must be a most difficult time for him, is in our best interest. I am not sure how best we do this. The GMC appear to be investigating the wrong person/people, based on #transdocfail. In addition to that they have the best HR policies I’ve seen WRT trans and gay/lesbian staff, black/minority ethnic employees, and disabled staff. It has a zero tolerance approach on any bigotry. I worked at a couple of sites (now closed, thanks Cameron!) and saw two people fired on the spot just for trans-related fail. As in literally being handed a black bag, told “Clear your pod and leave”. That was before I came out. Thanks to them my RLE was simple. They immediately changed my logins, payslip, backdated and copied my assessment records to reflect my chosen pronouns, before shredding the. original, so as not to out me in the future. I had too many treatment fails to count, but work even helped me complain through the local PALS for my PCT. Remember there is no guarantee that what someone says in a tweet is true. For example, I have a vested interest in making this a news story, so I get a bunch of online friends to create a few accounts each and tweet made-up stories. Whether or not this is happening is of course not my call, but you have to admit the cold hard fact that it would be simple to pull off for any given topic or concern. That’s true in principle, but my local and on-forum experience suggests there are a shitload of people out there with genuine bad stories (I have a few of my own). Most of it is on the back of ignorance among healthcare workers, but some of it is also prejudice. Given that trans people are pretty vulnerable, and don’t often get the opportunity to vent and be taken seriously, I think there’s a fair chance that the majority of these reports are true. I’ve noticed in conversations with trans people that once someone tells a grim story about GP treatment, for example, other people start realising they’ve been on the receiving end of this too, and that it’s not acceptable. There’s still a culture of giving up one’s will to healthcare professionals in the UK, especially among the older generations, so it can be hard to feel like it’s okay to express unhappiness at how we’re treated. And as for vested interest, it’s then equally possible that the campaign against Dr Curtis (for example) is driven by people who want to repress freedom in gender expression and are doing the complaints-system equivalent of what you’re suggesting. There’s no way to tell, either way. I hear about this kind of thing all the time. It’s why I don’t dare to even try to seek treatment for my own gender problem, why I have only told half a dozen people about it, and why I won’t use a name on this comment.